Sometimes your office mates aren’t even in your office, or even in the same building, or the same time zone. When you have to work together, though you’re very far apart, it’s time to get a little creative in how communicate and collaborate online. There are times when using your old video chat app just won’t work, and you have to take it to the next level. Working with fully featured online videoconferencing app can give you the tools you need to collaborate either one on one or to bring it to the group. PC magazine notes that using cloud-based software requires an Internet connection in order to connect to a server or network of servers worldwide that host the applications that many business people use day to day. For instance Microsoft’s office suite is available as a web-based application with a subscription that ranges from monthly to annual. Likewise Adobe, with its heavy hitter Creative Suite and Photoshop, has shifted to a web-based cloud-based service that is available by prescription to individuals and businesses. It’s exactly the same with videoconferencing app such as Bluejeans. Cloud-based services like these are on track to take over 59 percent of businesses daily software usage, according to Forbes. 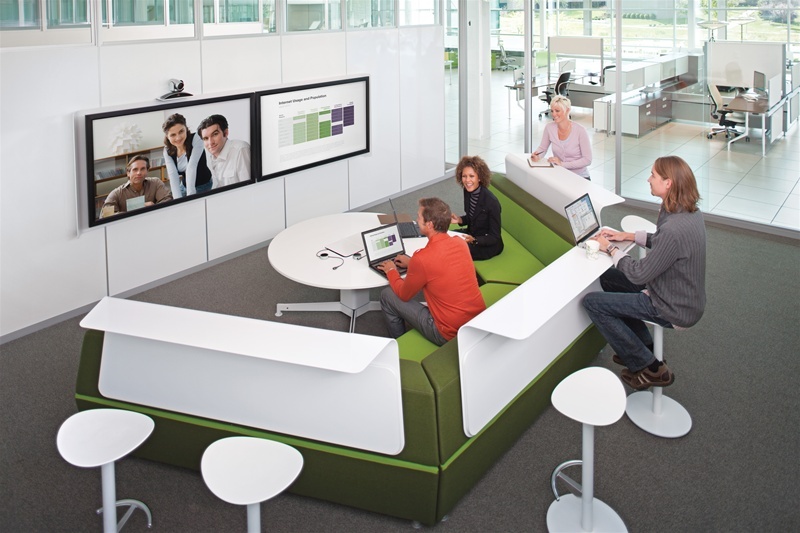 Services like Bluejeans online videoconferencing replacing expensive legacy systems will become the norm instead of the exception. There is always some initial resistance to change. People like to do things the way that they are comfortable with doing them. However, organizations have to adapt as stances surrounding their business evolve. For instance, both Adobe and Microsoft instead of relying on office supply stores to move their box software diversified into the cloud to make their popular products available to anyone who wanted to subscribe. Or looking at the cable companies, currently fighting tooth and nail to hold onto their current business model rather than meet the demands of their customers for even a basic level of customer service much less a customizable menu of channels. While Adobe and Microsoft are thriving cable has run out of rope as people turn to the Internet for alternatives to 17 channels of ESPN. Training your staff to use online videoconferencing will take some effort. However, a flexible, user-friendly application that makes sharing and collaboration easy will appeal to even the most diehard corridor warrior on your staff. Exploring the tools that let you securely share documents, the ability to replay meeting, and other features spark creativity and renew engagement levels that might have been falling. A recent Gallup poll showed that 70 percent of educated American workers between 30 and 64 have some level of disengagement from their jobs. In a meeting heavy corporate culture, possibly one of the best complements that can be given is “That was a really great meeting.” When you consider those words, you can get a certain amount of take away from. The person who attended was informed and engaged, and is now energized and positive about your project. It’s safe to say that they didn’t spend the meeting dozing when the lights were low for the presentation, playing Candy Crush, or daydreaming. They leave the meeting with a sense of purpose, instead of a sense of frustration and futility. Learning to use videoconferencing can take your meetings, and your business to the next level.